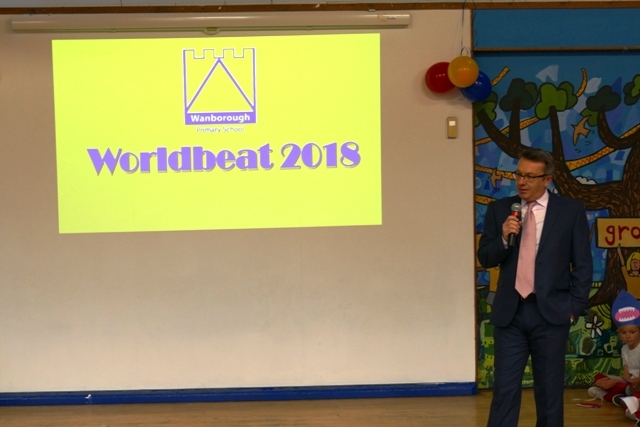 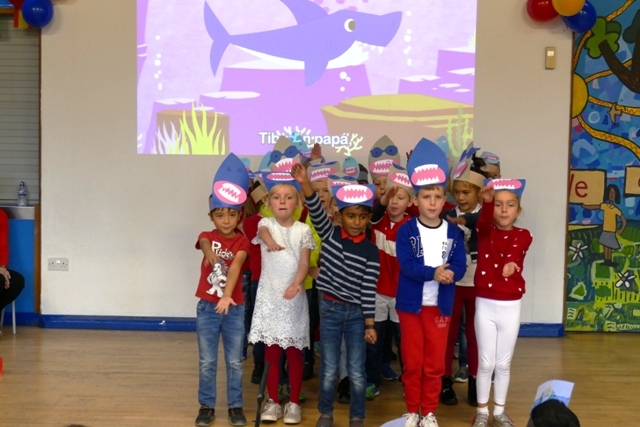 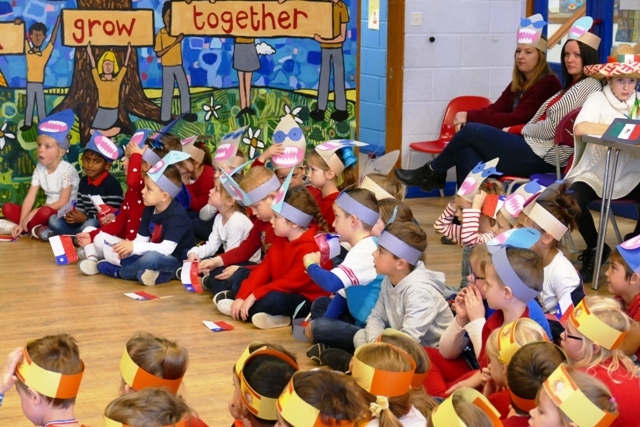 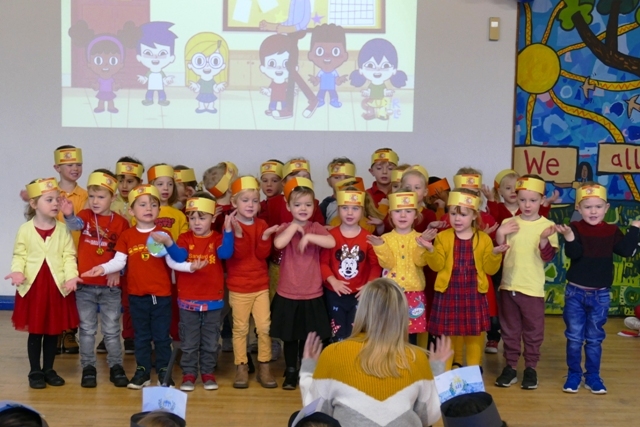 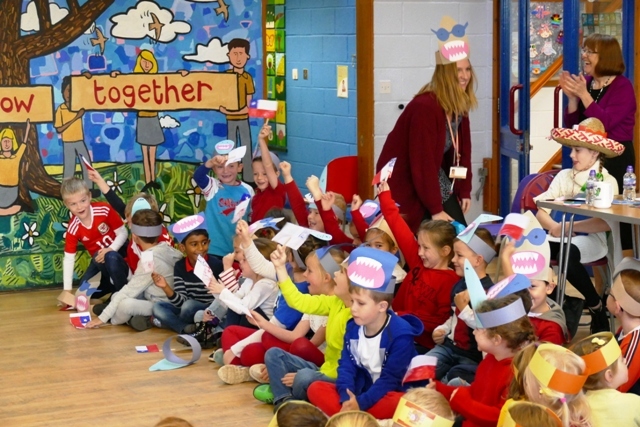 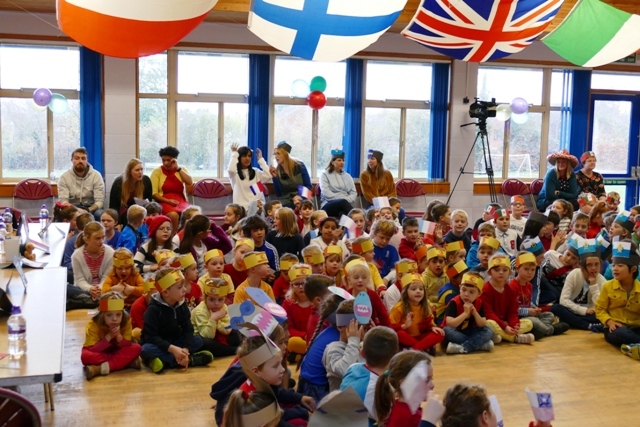 On Tuesday 20th November the whole school took part in one of our annual highlights. 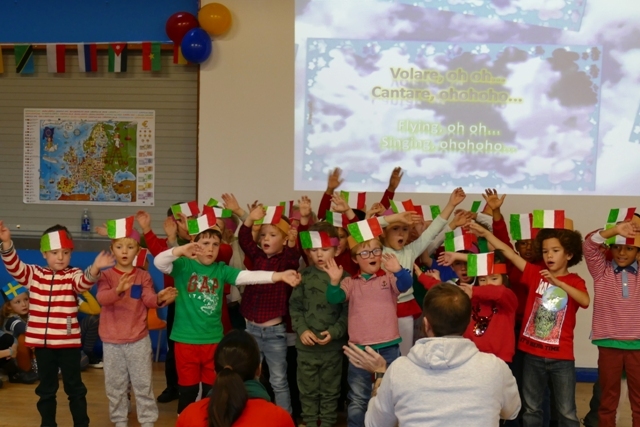 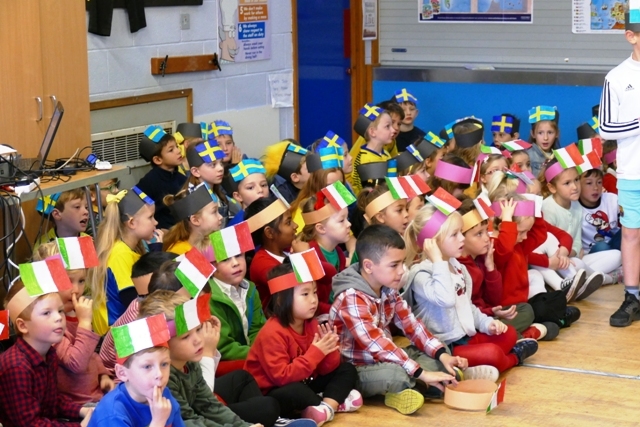 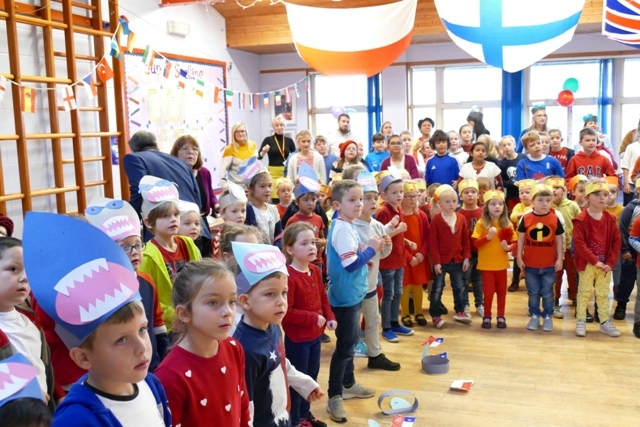 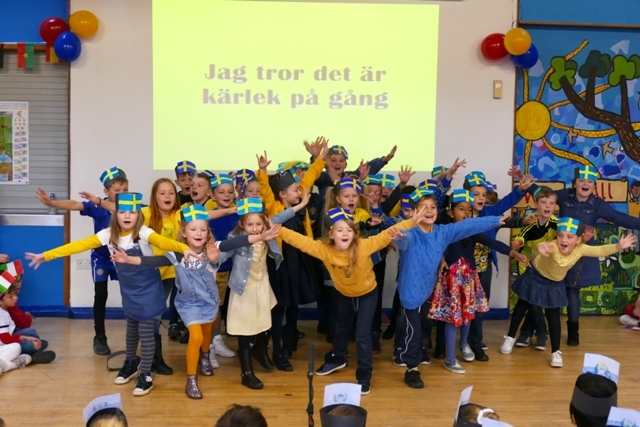 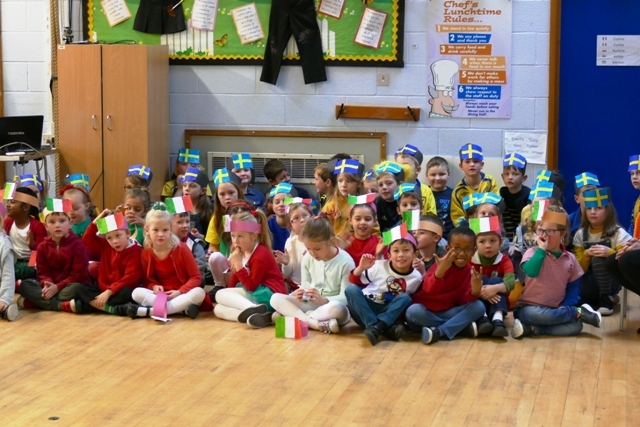 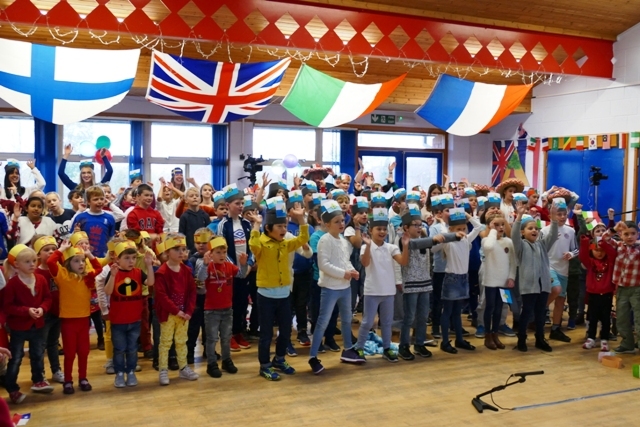 We celebrate the variety of languages in Europe and beyond, with each class performing to represent a country of their choice. 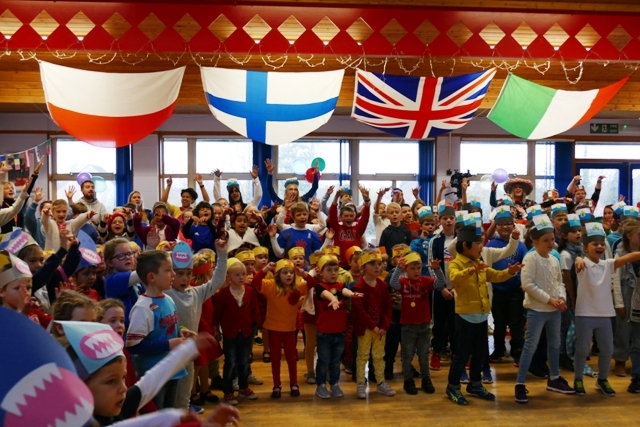 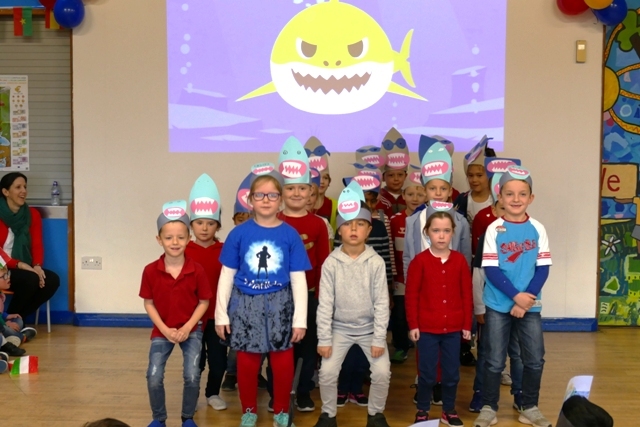 All the children and staff put an immense amount of work into preparing the songs and dance routines, as well as their costumes. 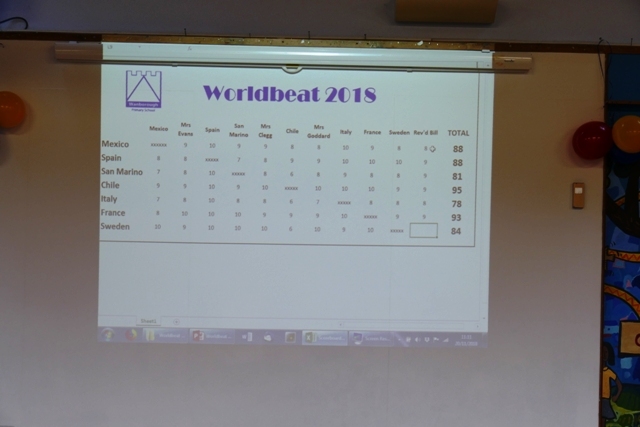 The standard this year was really high throughout. 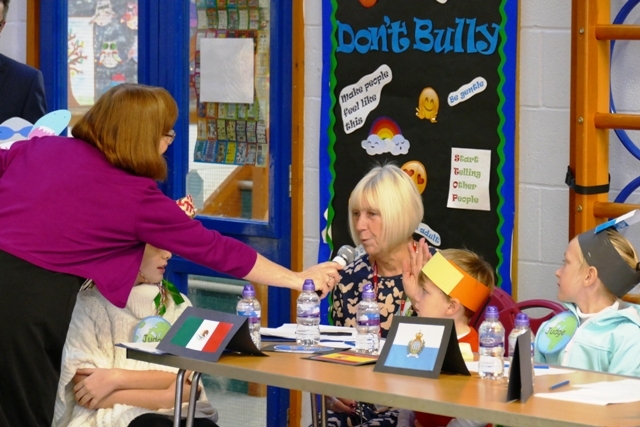 Our judges had a very difficult task to decide the winners. 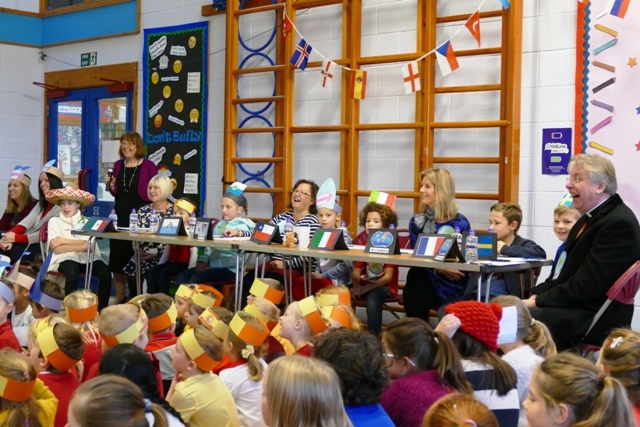 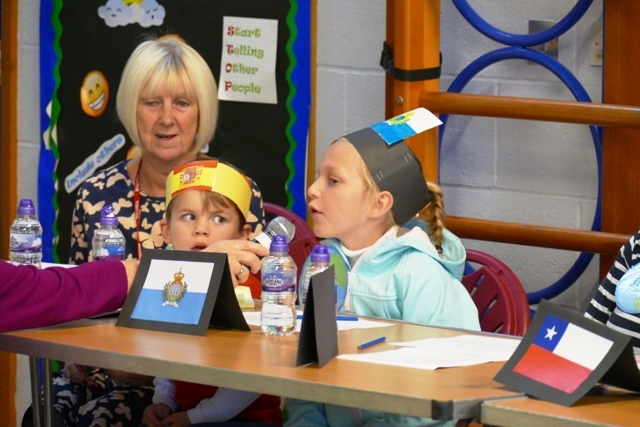 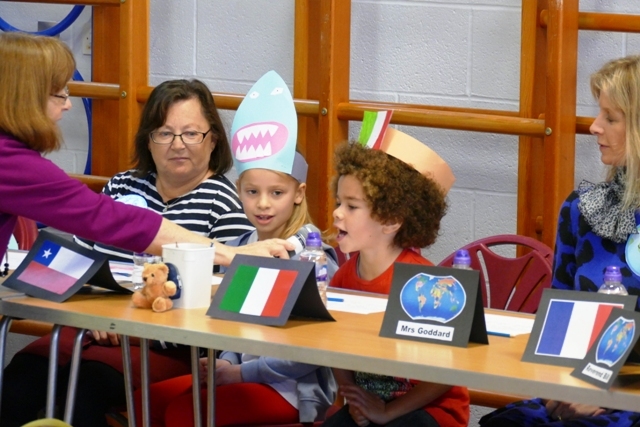 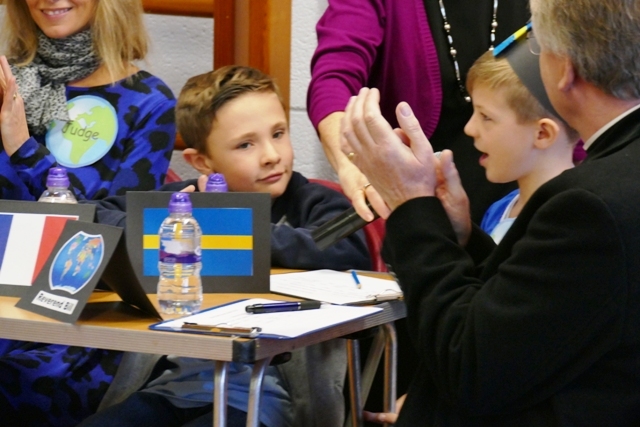 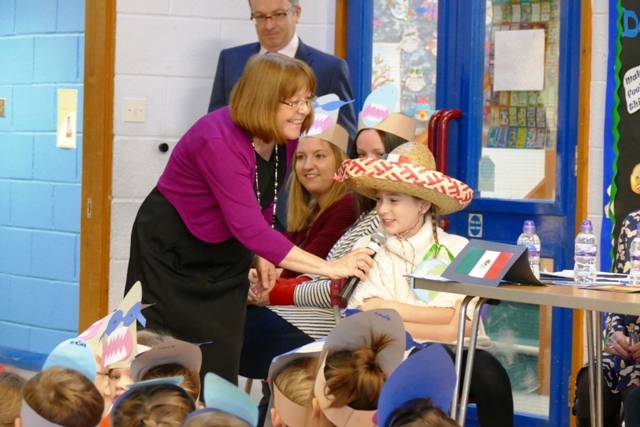 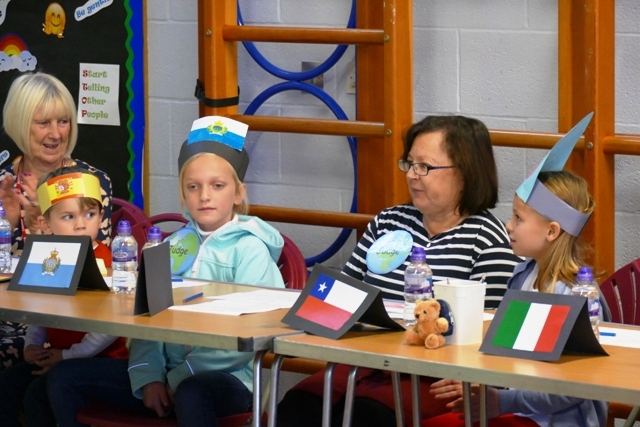 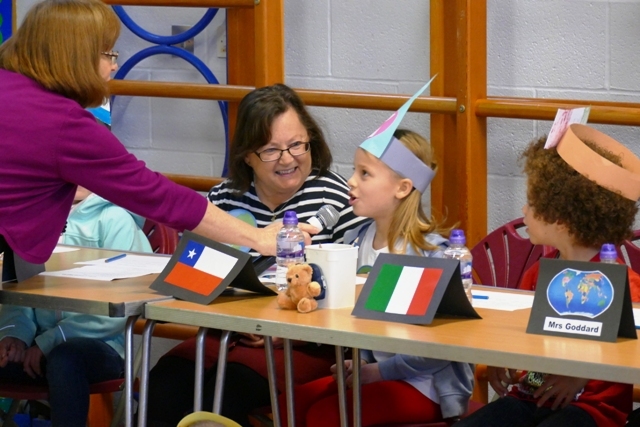 On the judging panel, along with one representative from each class, we were pleased to welcome back Mrs Clegg, who was joined by Mrs Evans (the school governor with special interest in languages), Mrs Goddard our Business manager (and fluent French speaker) and the Revd Bill O'Connell. 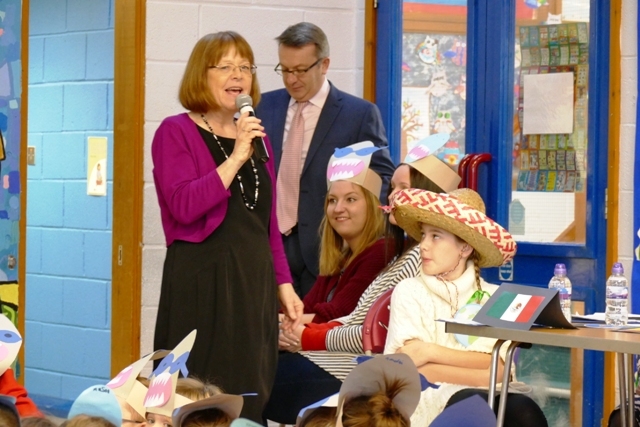 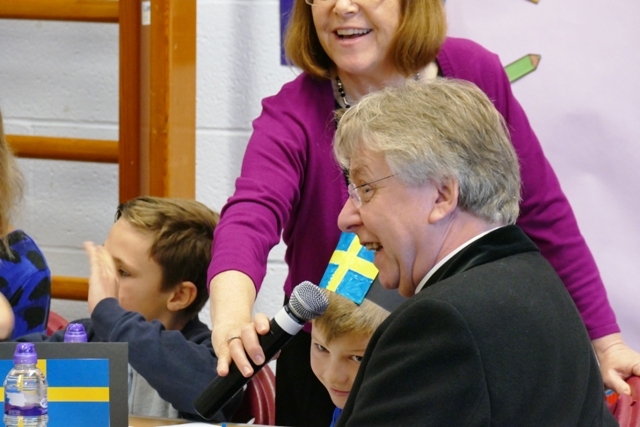 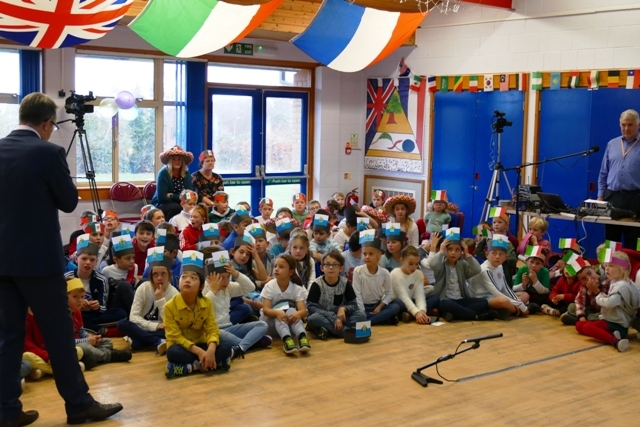 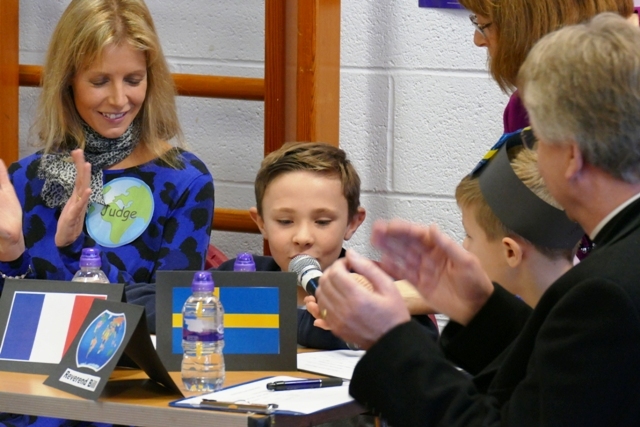 The whole event was compèred for the first time by Mr Drury and was planned by our languages specialist, Mrs Hook. 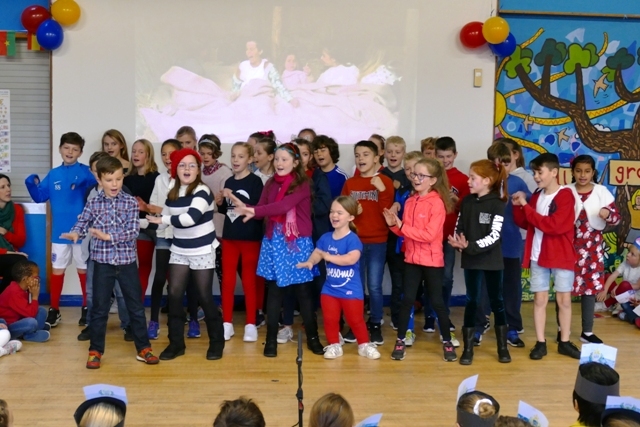 Below you can see some great pictures of the show (thank you Mr Luckhurst!) 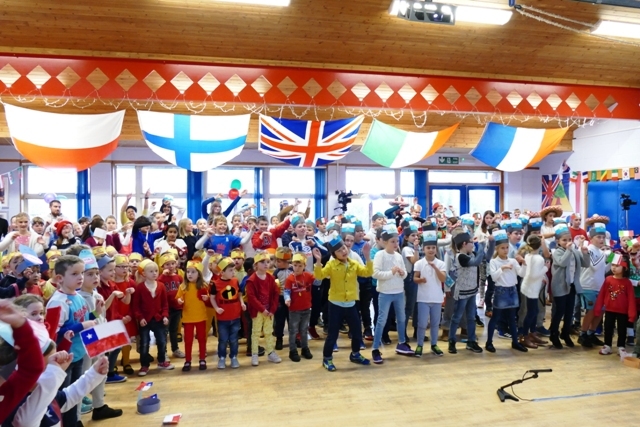 and videos of the whole of the winning performance, plus clips of all the others. 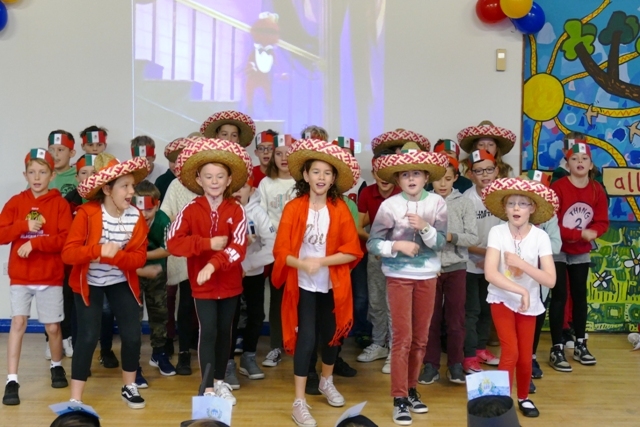 Well done to Pinecone, this year's winners, but also congratulations to everyone for making it another exciting and memorable morning.